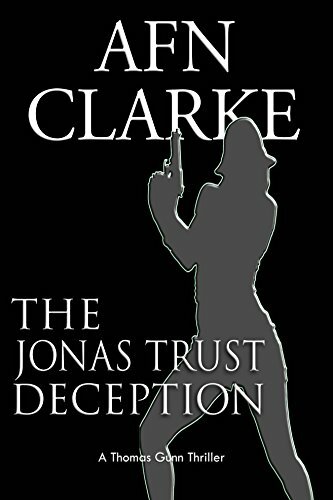 Today’s Featured Kindle Book of the Day, The Jonas Trust Deception, by AFN Clarke, is regularly $4.99 but has been discounted to just $2.99 today in the Amazon Kindle store. This book has received an average user rating of 4.7 out of 5 stars based on 29 customer reviews. Thomas Gunn is ex-British Special Forces with a talent for infiltration and assassination. Skills that year ago he reluctantly called on, to expose an international conspiracy that led to the murder of his father and death of his best friend. He thought it was all behind him. But a desperate call from his journalist friend Morgan, propels him into an even more sinister plot that threatens global politics and the security of the United States. Racing to follow her cryptic clues, Thomas and his partner Julie are thrust into the deadly path of Mexican drug cartels, corrupt politicians, the CIA, FBI, MI5, and ruthless Wall St brokers. What evil end-game binds these unlikely players together? It appears the shocking truth lies in the painful memories of Thomas’s past, during covert operations in Afghanistan at the height of the war. A past he had hoped to forget, but will not forget him. Tearing at his soul is a haunting question – was he used as a pawn in an insidious “game” back then? Is he still being “played” even now? Outraged at the thought, he does something so unexpected that its boldness and daring will take your breath away! But how high a price will he have to pay for uncovering the truth? As the son of an MI6 operative, former Officer in Britain’s elite Parachute Regiment, pilot, race-car driver, yachtsman and bestselling author of Contact, AFN Clarke brings a wealth of experience to this second book of the Thomas Gunn thriller series. Together with The Orange Moon Affair, the books have been hailed by the San Francisco Book Review as “fast-paced books that you won’t want to put down and you won’t want them to finish.” Available in both ebook and paperback format. Click here or type in http://smarturl.it/1132 into your web browser to pick up your copy of The Jonas Trust Deception. Here’s your next group of free and discounted Kindle book offers in a variety of genres for Thursday: for those books listed as being free or discounted in this post – while the pricing of the free and discounted status is valid at the time of this posting, please make sure you check the pricing carefully before you press the “buy” button as it could revert back to its normal status at any time! 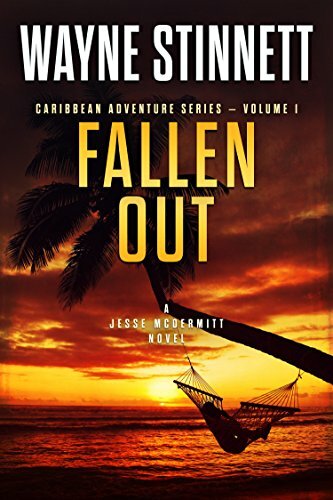 Fallen Out, by Wayne Stinnett, is regularly $2.99 but has been discounted to just 99 cents today in the Amazon Kindle store. This book has received an average user rating of 4.7 out of 5 stars based on 46 customer reviews. Click here or type in http://smarturl.it/fallenout into your web browser to pick up your copy of Fallen Out. The Idea Pantry, by Ben Night, is regularly $2.99 but has been discounted to just 99 cents today in the Amazon Kindle store. This book has received an average user rating of 4 out of 5 stars based on 13 customer reviews. 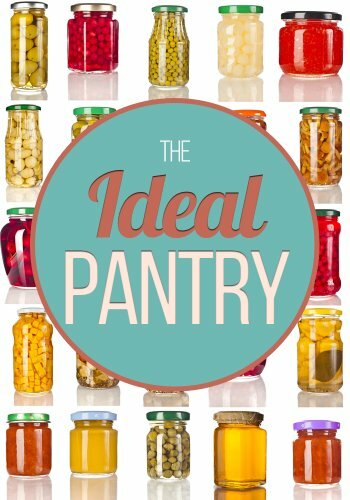 What is the “ideal pantry?” This book explores all you need to know in building an ideal food supply that is practical, healthy, and sustainable. Using the extensive knowledge revealed in this book, you’ll learn valuable techniques and helpful uses for coconut oil, apple cider vinegar, and several other beneficial remedies. But that is only the beginning, let “The Perfect Pantry” reveal the advantages of food dehydration, canning, and food preservation with our guide of quick and easy steps. Don’t waste another minute reading multiple books about coconut oils, remedies, and food preservation, download this comprehensive collection today! Click here or type in http://smarturl.it/j9qcde into your web browser to pick up your copy of The Ideal Pantry. 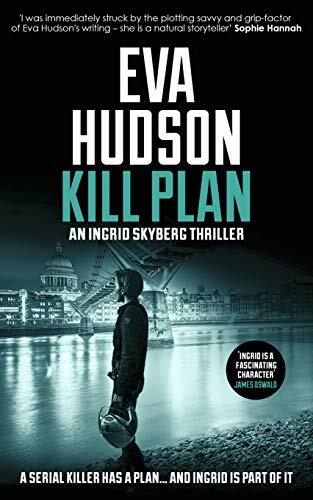 Kill Plan, by Eva Hudson, is regularly $2.99 but has been discounted to just 99 cents today in the Amazon Kindle store. This book has received an average user rating of 4.7 out of 5 stars based on 13 customer reviews. A young American trader is found fatally poisoned in his office in the City of London. Two days later, a Latvian immigrant is discovered floating face down in the River Thames, brutally murdered. When Special Agent Ingrid Skyberg, the FBI’s criminal investigator in London, starts to dig, she uncovers an unlikely link between these two cases via the murder of a congresswoman in Savannah, Georgia. In the course of her investigations, Ingrid puts her own safety at greater risk than she ever has before. The problem is, she doesn’t even know just how much danger she’s in. With little help from either her colleagues within the embassy, or the local police, Ingrid is running out of time to piece together the seemingly disconnected clues to track down the killer before he strikes again. This time she’s the target. Click here or type in http://smarturl.it/nf5qgx into your web browser to pick up your copy of Kill Plan. 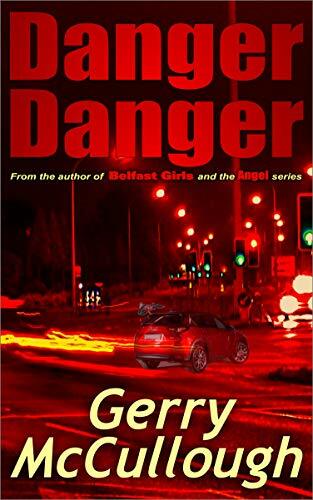 Danger Danger, by Gerry McCullough, is regularly $2.99 but has been discounted to just 99 cents today in the Amazon Kindle store, and this book has received an average user rating of 4.2 out of 5 stars based on 29 customer reviews. Two lives in parallel – twin sisters separated at birth, but their lives take strangely similar and dangerous roads until the final collision which hurls each of them to the edge of disaster. The action travels from Belfast to Geneva, Switzerland, and back to Co. Down – involving both international crime and local drug dealing and gambling. An enthralling Irish thriller which includes romance, suspense, action, adventure, and much more. Click here or type in http://smarturl.it/33asjx into your web browser to pick up your copy of Danger Danger. 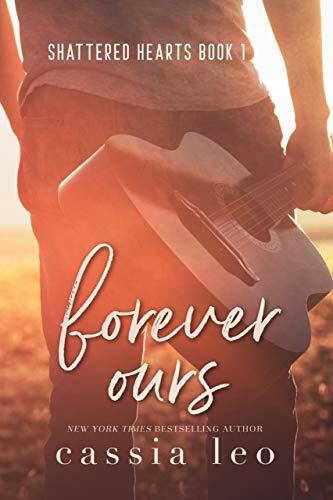 Forever Ours, by Cassia Leo, is free today in the Amazon Kindle store, and this book has received an average user rating of 4.7 out of 5 stars based on 182 customer reviews. 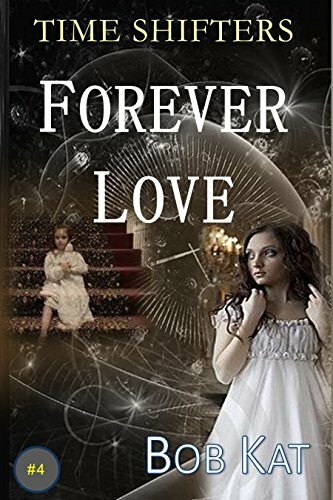 Click here to pick up your copy of Forever Ours. 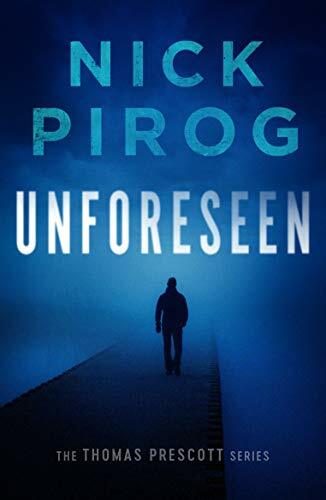 Unforseen, by Nick Pirog, is free today in the Amazon Kindle store, and this book has received an average user rating of 4.1 out of 5 stars based 298 customer reviews. Retired homicide detective Thomas Prescott is reluctant to read the best selling book Eight in October, a true-crime thriller based on a string of murders occurring throughout October of the past year. After all, it was his case, and he doesn t need to be reminded of the gruesome details. The book dubbed the serial killer, Tristen Grayer, The MAINEiac. Grayer is allegedly dead, but only Prescott knows the truth, Grayer is alive and lurking in the shadows. On October 1st, the anniversary of the first murder, Tristen resurfaces, killing someone special from Prescott’s past. Suddenly, it s deja vu for Prescott except this time the women closest to him begin to fall victim at the hands of Grayer. With the help of former flame, medical examiner Dr. Caitlin Dodds, and Eight in October author, Alex Tooms, Prescott must race against the clock to stop Tristen from completing his encore. Click here to pick up your copy of Unforseen. Here’s your first group of free and discounted Kindle book offers in a variety of genres for Thursday: for those books listed as being free or discounted in this post – while the pricing of the free and discounted status is valid at the time of this posting, please make sure you check the pricing carefully before you press the “buy” button as it could revert back to its normal status at any time! 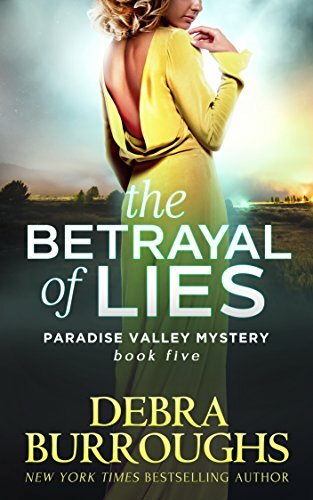 The Betrayal of Lies, by Debra Burroughs, is regularly $3.99 but has been discounted to just 99 cents today in the Amazon Kindle store. This book has received an average user rating of 4.8 out of 5 stars based on 68 customer reviews. Murder and mayhem are afoot! Feisty private eye, Emily Parker, is finally moving forward in her relationship with the hunky Paradise Valley police detective–that is, until a new friend suddenly goes missing and wedding plans are put on hold. Emily and Detective Andrews are locked in a desperate race to solve the mystery of who abducted the woman and rescue her before someone winds up dead. 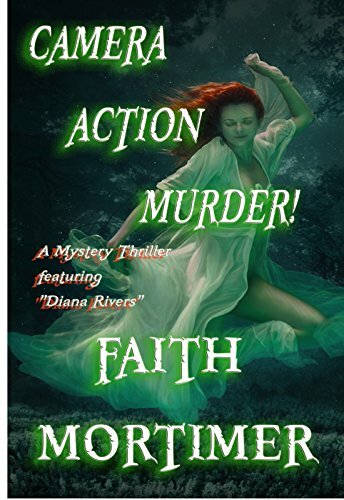 Camera Action Murder!, by Faith Mortimer, is regularly $3.40 but has been discounted to just 99 cents today in the Amazon Kindle store. This book has received an average user rating of 4 out of 5 stars based on 24 customer reviews. No 4 in the series. Diana Rivers hadn’t intended to visit England that summer but the invitation to take part in a film-shoot seemed too exciting an opportunity to miss. Life had been quiet for the last year or so and she looked forward to renewing old friendships and meeting a handful of well-known film stars. The only possible fly in the ointment, was the venue. Years before, Diana had suffered a terrifying experience in Cheltenham, England – an encounter which she thought she’d resolved. Reassuring her partner, Steve that all was well and that dreadful episode was behind them, they went ahead and confirmed their acceptance. Little did she know that the filming was only a minor part of the show about to be enacted. Once again, Diana is drawn into events which threaten to spiral out of control. When a beautiful young actress is accidentally killed, Diana’s reaction is to turn to more sinister thoughts. Was it an accident or was it…murder? Click here or type in http://smarturl.it/1ehh96 into your web browser to pick up your copy of Camera Action Murder!. 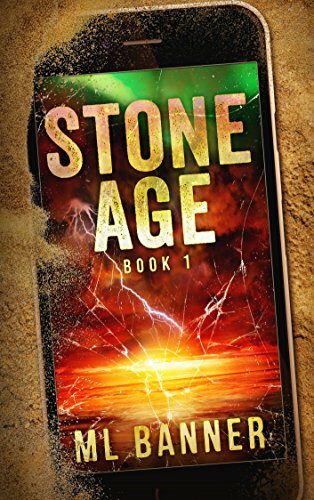 Stone Age, by ML Banner, is regularly $2.99 but has been discounted to just 99 cents today in the Amazon Kindle store. This book has received an average user rating of 4 out of 5 stars based on 133 customer reviews. Our Earth is fighting a daily battle, shielding us and our life-giving technology from the electromagnetic ravages of the sun. Every 100 years or so, we are hit by an epic solar storm which could devastate our world’s electrical-based society were it to strike today. It happened last in 1859, when we had little technology… over 150 years ago. We are past due! All are unprepared for the apocalypse about to strike the Earth, one so great and unprecedented, it will bring humanity into a new Stone Age. Click here or type in http://smarturl.it/stoneage into your web browser to pick up your copy of Stone Age. 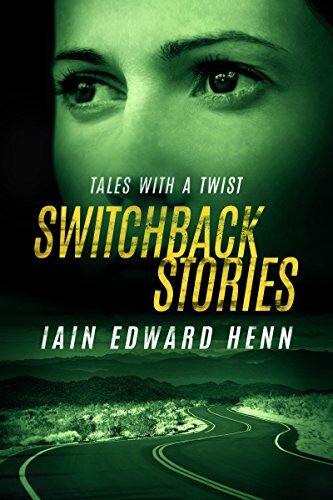 Switchback Stories, by Iain Edward Henn, is regularly $2.99 but has been discounted to just 99 cents today in the Amazon Kindle store, and this book has received an average user rating of 4.4 out of 5 stars based on 11 customer reviews. In Washington DC a charismatic anti-drug lobbyist is targeted by a powerful crime cartel. With precise planning, the assassins close in on their prey – alone in his house – only to confront the one scenario they could not envision. A Boston airline disaster and an extraordinary twist of fate have given a selfish man the chance to commit an undetectable killing. No-one will ever suspect a crime has taken place. Is it the perfect murder? An ambitious actor has a foolproof way of advancing her career, at the expense of another. Nothing can go wrong. Sometimes, however, everything going right delivers the most unforeseeable result. A famed South African diamond, unique for its light reflecting brilliance, is guarded by advanced technology. A dynamic cat burglar uses a variation on movie stunt trickery to plan a daring heist. An aging drifter forms a bond with a young woman and her son in the Australian countryside – what is it about their small town he finds both familiar and unsettling? In England’s north, the ‘Last of the Lighthouse Keepers’ uses his knowledge of treacherous waters for a desperate act – setting in motion a chain of events even he is powerless to stop. Click here or type in http://smarturl.it/d6o8m5 into your web browser to pick up your copy of Switchback Stories. 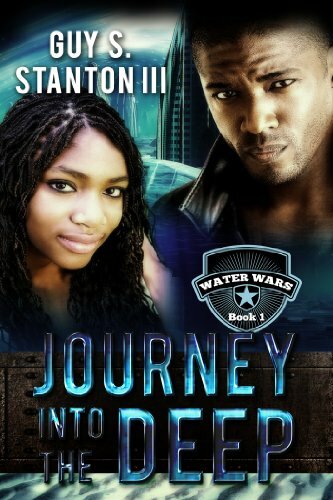 Journey into the Deep, by Guy Stanton III, is free today in the Amazon Kindle store, and this book has received an average user rating of 4 out of 5 stars based on 10 customer reviews. Click here to pick up your copy of Journey into the Deep. Forgotten Word, by Sam Jane Brown, is free today in the Amazon Kindle store, and this book has received an average user rating of 4 out of 5 stars based 37 customer reviews. Zena McGrath is a detective working for an International Police Organisation at their Dublin Office. A routine day is turned upside down when she receives a call from her boss in the New York office. A number of Catholic Priests have died in mysterious circumstances, the latest being an Irish Priest based at the Vatican. 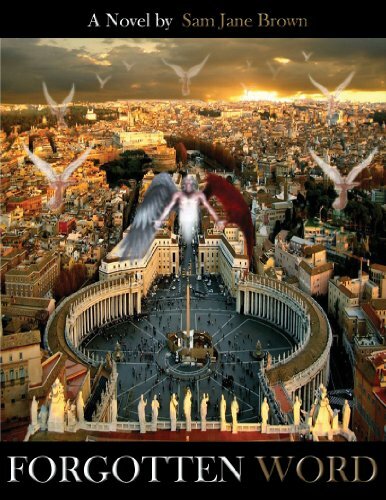 The Vatican authorities claim the deaths are due to natural causes. Brian Evens; Zena’s Superior officer based in New York tells Zena she must fly to Rome and meet a high-ranking Vatican Priest to discuss the case. When Zena arrives at the Vatican she is greeted by Cardinal Donatello, a mysterious figure who has responsibility for training priests in the secretive and highly dangerous art of Exorcism. He reveals to Zena that the Priests who have died were all Exorcists and takes her on a shocking visit to see a Priest who is possessed by evil spirits. Cardinal Donatello reluctantly reveals the seriousness of the problems the Vatican is facing in the eternal battle between good and evil and Zena herself has a chilling encounter with a demonic presence. Although shocked and disturbed by what she has seen at the Vatican, Zena is persuaded by Cardinal Donatello to allow the Vatican Authorities to fight the evil in their own way and not pursue her investigation. Zena convinces Brian Evens that there is nothing to investigate at the Vatican and prepares to return to Dublin, only to be summoned to New York when another Catholic Priest is discovered brutally murdered. Zena flies to New York with a Bible given to her by cardinal Donatello and an evil presence following her every move. During the course of the murder investigation in New York Zena is persuaded to take part in a Satanic Ritual in order to let her see into the past and reveal the murderer of the Priest. Whilst in a trance she sees the people responsible for the crime and the shocking truth leads her back to Rome and the culprit. Cardinal Donatello is deported to New York to stand trial for his part in the crime and during the course of the trial the whole shocking truth of the Catholic Church’s battle against evil and the extent of satanic worship is revealed to the incredulous world. Cardinal Donatello is found guilty of his crimes and the revelations spark worldwide revulsion against all forms of religion, something that Zena with her insights into the world of Satan had warned of. Zena returns to Ireland as the overthrow of world religions gathers pace to find peace and to try and rid herself of the evil spirits that are haunting her. Her quest leads her to the Holy Land in an attempt to find God and inner peace. The events in the Holy Land lead to a climactic and shocking finale to this tale of good against evil; the second coming of Jesus Christ. Click here to pick up your copy of Forgotten Word. 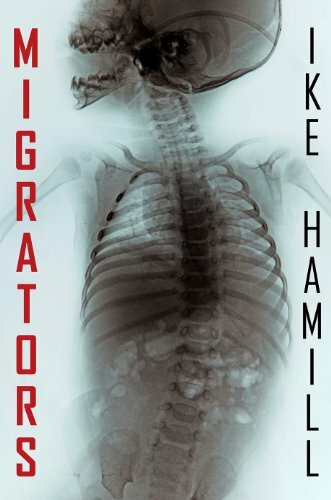 Today’s Featured Kindle Book of the Day, Migrators, by Ike Hamill, is regularly $4.99 but has been discounted to just 99 cents today in the Amazon Kindle store. This book has received an average user rating of 4.2 out of 5 stars based on 144 customer reviews. Do not speak of them. Your words leave a scent. They will come. Somewhere in the middle of Maine, one of the world’s darkest secrets has been called to the surface. Alan and Liz just wanted a better life for themselves and their son. They decided to move to the country to rescue the home of Liz’s grandfather, so it would stay in the family. Now, they find themselves directly in the path of a dangerous ritual. No one can help them. Nothing can stop the danger they face. To save themselves and their home, they have to learn the secrets of the MIGRATORS. Click here or type in http://smarturl.it/73014 into your web browser to pick up your copy of Migrators. Ike Hamill writes fast-paced horror novels with strong, relatable characters. Since 2011 his books have gained a steady following amongst readers who enjoy his blend of sci-fi, paranormal, occult, and suspense. His first series, “The Hunting Tree,” became popular enough for Ike to leave his day job and focus entirely on writing. Since that series, Ike’s popularity has grown, with “Extinct” becoming his most-read book to date. In some of his books, Ike takes on the entire world. With his recent book, “Migrators,” Ike presents a story that focuses on a small family. In either setting, Ike draws compelling characters whom readers are sad to leave behind when the book is finished. Reviewers compare Ike to Dean Koontz and Stephen King–two of his favorite authors. His narrative often jumps between interwoven stories, presenting readers with a fresh perspective and keeping them guessing until the last chapter. Join Ike’s mailing list at www.ikehamill.com and he’ll send you a free copy of his next book. Most of Ike’s readers are repeat customers. Pick up one of his books to learn why. You can visit Ike’s Amazon author page if you click here or type in http://smarturl.it/ikehamill into your web browser. We Have a Kindle Fire Winner! We had a little over 30,000 entries into this latest giveaway on the blog…that was a whole heck of a lot more than I expected upon launch. I think there might be another giveaway soon, so stay tuned…. Here’s your next group of free and discounted Kindle book offers in a variety of genres for Wednesday: for those books listed as being free or discounted in this post – while the pricing of the free and discounted status is valid at the time of this posting, please make sure you check the pricing carefully before you press the “buy” button as it could revert back to its normal status at any time! 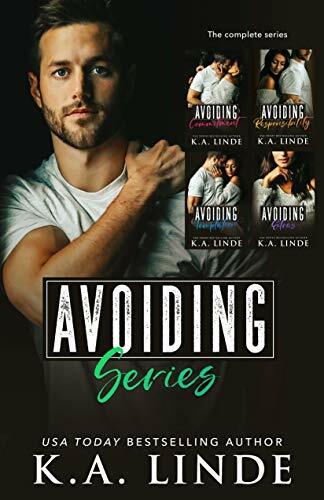 The Avoiding Series Boxset, a new five book box set collection by K.A. Linde, is regularly $9.99 but has been discounted to just 99 cents today in the Amazon Kindle store. So when it came to her personal life, she made sure she never had to relive that. With looks that could kill, it was simple for Chyna to be the love ’em and leave ’em kind of girl. And she had always been okay with it. She would rather be single the rest of her life then end up as miserable as her parents. So when a man rescued her after she was drugged in a night club, she never expected to start a relationship with him. Two Avoiding Series novellas written from Jack and Ramsey’s point of views from the first time they each meet Lexi. Click here or type in http://smarturl.it/avoiding into your web browser to pick up your copy of The Avoiding Series Boxset. 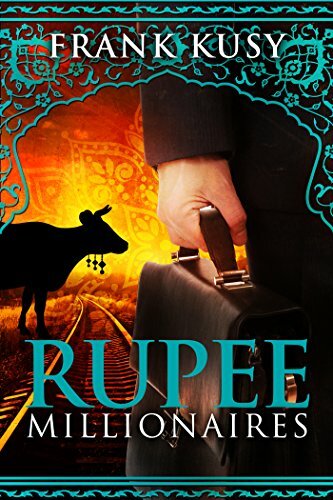 Rupee Millionaires, by Frank Kusy, is regularly $3.18 but has been discounted to just 99 cents today in the Amazon Kindle store. This book has received an average user rating of 4.2 out of 5 stars based on 124 customer reviews. ‘Dodgy’ Frank Kusy, born into poverty from immigrant parents, learns to live on his wits––first as an unwitting money collector for Ronnie Kray, later as a Buddhist trader in London’s St Martin’s-in-the-Fields market. Then he meets up with thuggish ‘Spud’ who is so good at scaring people, notably the Petrovs, two encroaching Russian gangsters, that he hires him on the spot as his business partner. It’s a deal with the Devil. Spud is a loose cannon, liable to blow up at any moment. The two travel to India to become the largest wholesalers of hippy-Hindi glad rags in the UK, and to fulfill their dream of becoming rupee millionaires. Along the way, they pick up a motley crew of kooky characters––Ram, a lovable, crutch-bound Rajasthani, George, an irascible American, Nick and Anna, a quirky Canadian couple, Susie, a Dagenham girl gone ‘native’, and Rose, the secret love of Ram’s life. These become the ‘Pushkar Posse’, a group of oddball traveller-entrepreneurs who meet once a year to have fun and make money in equal measure. Join Frank on this wild rite of passage through India. Click here or type in http://smarturl.it/1i92c3 into your web browser to pick up your copy of Rupee Millionaires. 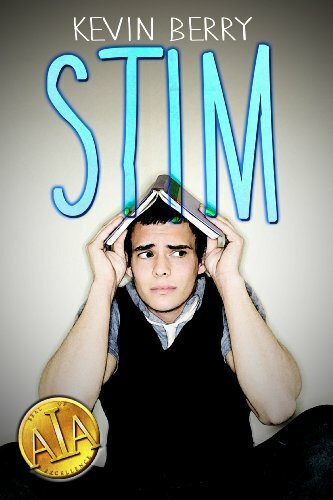 Stim, by Kevin Berry, is regularly $3.99 but has been discounted to just 99 cents today in the Amazon Kindle store. This book has received an average user rating of 4.5 out of 5 stars based on 36 customer reviews. Robert is different. He has Asperger’s Syndrome. He experiences the world differently to 99% of the population. Follow his entertaining and highly empathetic story as he struggles to realise and accept who he really is, try to understand other people–which he cannot–and find a girlfriend. Especially find a girlfriend–he’s decided it’s his special project for the year. Accompanied on this transformative journey by his quirky flatmates, Chloe (who also has Asperger’s, amongst other things), Stef (who hasn’t, but doesn’t mind) and their oddly-named kitten, Robert endures a myriad of awkward moments in his quest to meet a nice, normal girl…and not even a major earthquake will stop him. Click here or type in http://smarturl.it/kemlg0 into your web browser to pick up your copy of Stim. 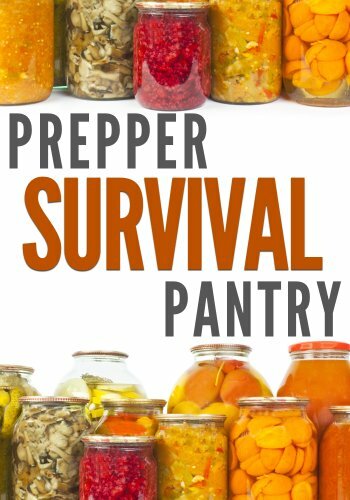 Prepper Survival Pantry, by Ben Night, is regularly $2.99 but has been discounted to just 99 cents today in the Amazon Kindle store, and this book has received an average user rating of 4 out of 5 stars based on 9 customer reviews. What is the “Prepper Pantry?” This book explores all you need to know in building an ideal food supply that is practical, healthy, and sustainable. Using the extensive knowledge revealed in this book, you’ll learn valuable techniques to create your own prepper food supply. But that is only the beginning, let “The Survival Pantry” reveal the advantages of food dehydration, canning, and food preservation with our guide of quick and easy steps. Don’t waste another minute reading multiple books about food storage and food preservation, download this comprehensive collection today! Click here or type in http://smarturl.it/njbk2m into your web browser to pick up your copy of Prepper Survival Pantry. 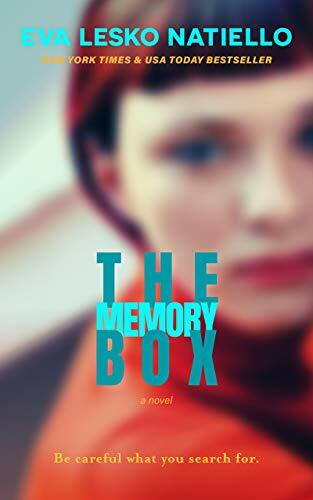 The Memory Box, by Eva Lesko Natiello, is free today in the Amazon Kindle store, and this book has received an average user rating of 4.8 out of 5 stars based on 42 customer reviews. In this gripping domestic thriller, a group of privileged suburban moms amuse themselves by Googling everyone in town, digging up dirt to fuel thorny gossip. Caroline Thompson, devoted mother of two, sticks to the moral high ground and attempts to avoid these women. She’s relieved to hear her name appears only three times, citing her philanthropy. Despite being grateful that she has nothing to hide, a delayed pang of insecurity prods Caroline to Google her maiden name—which none of the others know. Click here to pick up your copy of The Memory Box. 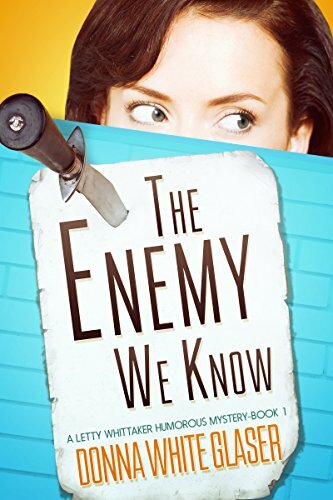 The Enemy We Know, by Donna White Glaser, is free today in the Amazon Kindle store, and this book has received an average user rating of 4.2 out of 5 stars based 360 customer reviews. Click here to pick up your copy of The Enemy We Know. Here’s your first group of free and discounted Kindle book offers in a variety of genres for Wednesday: for those books listed as being free or discounted in this post – while the pricing of the free and discounted status is valid at the time of this posting, please make sure you check the pricing carefully before you press the “buy” button as it could revert back to its normal status at any time! Lost in Us, by Layla Hagen, is regularly $2.99 but has been discounted to just 99 cents today in the Amazon Kindle store. This book has received an average user rating of 4.2 out of 5 stars based on 95 customer reviews. Click here or type in http://smarturl.it/6o7ky7 into your web browser to pick up your copy of Lost in Us. 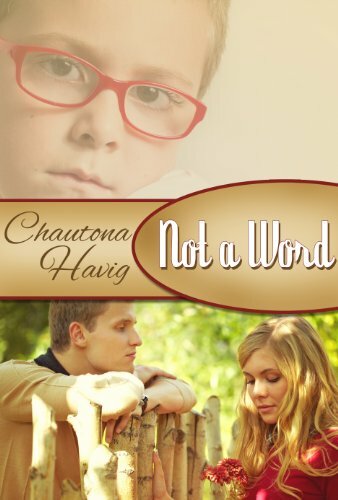 Not a Word, by Chautona Havig, is regularly $4.99 but has been discounted to just 99 cents today in the Amazon Kindle store. This book has received an average user rating of 4.7 out of 5 stars based on 41 customer reviews. Click here or type in http://smarturl.it/gtqa2s into your web browser to pick up your copy of Not a Word. RIP (Rest In Peace), A CUL8R Time Travel Mystery/Romance, by Bob Kat, is regularly $4.99 but has been discounted to just 99 cents today in the Amazon Kindle store. This book has received an average user rating of 4.9 out of 5 stars based on 16 customer reviews. Once again Kelly, Scott, Austin and Zoey are listening to the Spirit Radio when they hear a cry for help from a mother whose four-year-old daughter, Emma went missing in the middle of a busy lobby at the infamous Stanley Hotel. But time traveling back to 1911 is a lot more complicated than the three trips they had taken earlier in the summer. They have to find appropriate clothes and figure out a way to pay for their stay. When they hear about a tragic fire that hurt several hotel employees, the teens take advantage of the hotel’s desperation and get jobs working as lady’s maids and houseboys so they can keep an eye on Emma and her family. Even though they know that The Stanley Hotel is possibly the most haunted place in the U.S., the four teenagers are a little creeped out when they hear ghostly children running in the halls, singing songs and even a mysterious ball that keeps showing up in their room. How could a hotel that is only two years old already be haunted? Most importantly, how can they stop Emma from becoming one of the ghosts that are trapped inside the luxurious hotel? Midway through their first summer together, they celebrate the Fourth of July twice in one year. As they try to figure out the mystery of Emma’s disappearance, they bump into some famous people and experience several historical events. But ultimately, it’s their trust in each other and the friendship that has been forged by two unique experiences no one else on the planet has ever done…talk with dead people and time travel to the past. Their first trip back to 1966 had stopped the murder of a teenager from their school. Their next trip to 1980 had tested their courage as they were brought face-to-face with a man who was determined to murder an entire family. Their last trip to 1927 had saved the life of a handsome young man who had run away to a traveling circus. Zoey, the former mean girl of South Beach High School, suffered her first heartbreak by falling in love with a man from the wrong century. Back in 1911 there are no TV news crawlers or Amber Alerts like we see along the interstate highways today. Instead, Kelly, Scott, Austin and Zoey must try to be in the right place at the right time to stop the tragedy of Emma’s disappearance from happening. They follow her and her family around while enjoying life among the rich and famous. They arrive as skeptics, but leave as believers when all four teens have ghostly encounters. Kelly and Austin grow closer as they share fireworks shows, first on the sand in Fort Myers Beach and second on a blanket in the Rocky Mountains. But is their romance doomed almost as soon as it began? When their plans go wrong, they face their first defeat. The same danger that takes Emma now threatens the teens when one of their own is captured in a killer’s web. Will they be able to save Emma? Or will they join her as permanent guests in the ghostly halls of The Stanley Hotel? Click here or type in http://smarturl.it/hgqhom into your web browser to pick up your copy of RIP (Rest In Peace), A CUL8R Time Travel Mystery/Romance. NO EXIT, by Hamilton C. Burger, is free today in the Amazon Kindle store, and this book has received an average user rating of 4.3 out of 5 stars based on 97 customer reviews. Benny Churchill and Bug Beetle are off and running on the last day of school. They are ready for a great summer of fun with the Apple Grove Gang. Instead, they learn a lesson in politics. 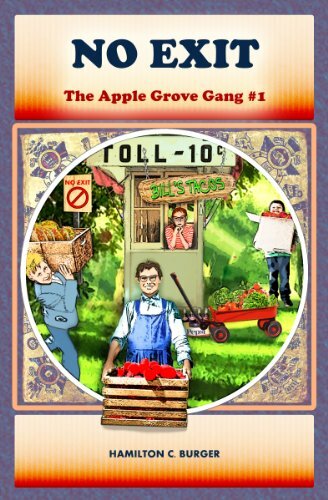 When the Apple Grove Community Center is closed, the Gang finds out just how hard it is to fight city hall. Finally, when their backs are against the wall, and they find out that there is no exit, the real fun and excitement begin. Click here to pick up your copy of NO EXIT. 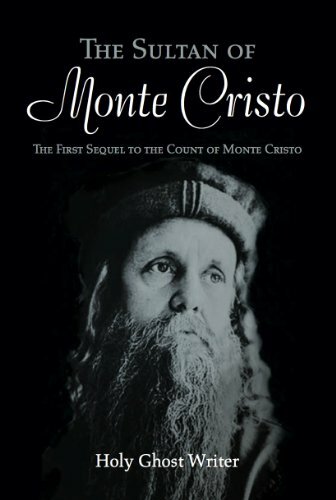 The Sultan of Monte Cristo, by Holy Ghost Writer, is free today in the Amazon Kindle store, and this book has received an average user rating of 4.5 out of 5 stars based 247 customer reviews. This vivid novel offers much entertainment and excitement throughout its telling of various adventures. Although the main character’s motives are presented, only small portions of the story involve his attempted redemption, leaving room for resolution in a subsequent sequel. Creating a more obvious through line that better connects all of the characters and their actions will improve the overall narrative while the multitude of subplots offer the creative material necessary to build a compelling series. Having no former knowledge of The Count of Monte Cristo hinders the reader’s understanding of the protagonist’s current situation, but additional sequels provide a format that allows room for necessary background information to be provided. Dantes’ character is undoubtedly flawed, a huge asset in terms of presenting a relatable protagonist. Offering further insight into his past will allow audiences to better understand his former behaviors and appreciate the lengths to which he will go to try to remedy his wrongdoings. Raymee is introduced rather abruptly, but is a strong and gripping character nonetheless. One is instantly impressed by her intelligence and confidence and appreciates the desperation of her situation. Raymee’s motives are a bit muddled, as her desire seems to change from one of avoiding her betrothal in favor of true love to that of acceptance of her fate in exchange for power. The disclosure of Dantes’ influence on her behavior is a brilliant addition, as it strongly connects the two characters and allows for vivid representation of the monstrosity of revenge. The castrations are unexpected and graphic, characteristics highly indicative of current popular television programs. Parallels between Raymee and Daenerys Targaryen from the program Game of Thrones can certainly be drawn, as each beautiful female develops from youth to a place of authority, cunningly demonstrating her power to influence her subjects. Raymee’s continued rise, especially following the implied birth of the Arabian prince, and potential fall is certainly deserving of further exploration, particularly if she continues to gain inspiration from Dantes’ past. Click here to pick up your copy of The Sultan of Monte Cristo. 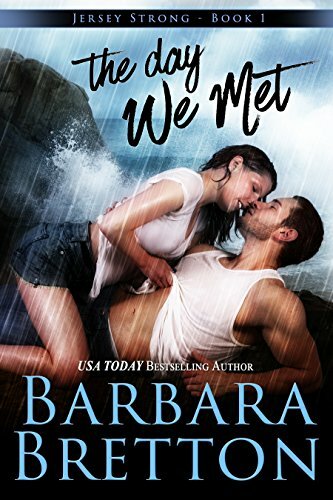 Today’s Featured Kindle Book of the Day, The Day We Met, by Barbara Bretton, is regularly $2.99 but has been discounted to just 99 cents today in the Amazon Kindle store. This book has received an average user rating of 4.7 out of 5 stars based on 27 customer reviews. THEY WEREN’T LOOKING FOR LOVE . . .
It’s 7:08 on the morning of Maggy O’Brien’s thirty-fifth birthday and she’s driving carpool in her pajamas and bunny slippers. She can’t remember the last time she shaved her legs. She’s hasn’t slept past dawn since her kids were born and one of them is now a teenager. The second she sees her sisters waiting impatiently at the foot of her driveway, she knows the answer to that question. Claire and Ellie are staging a makeover intervention and no amount of protest can save Maggy from being cut and colored and waxed to within an inch of her life. And as if that’s not enough, they announce she’s being banished to Atlantic City for an all-expenses-paid getaway weekend for one. Maggy isn’t a sequins-and-stilettos kind of woman. She’s a single mom who is more comfortable pushing a shopping cart through Stop & Shop than sipping champagne in the backseat of a stretch limo headed toward Vegas on the Jersey Shore. Still even Maggy isn’t immune to playing Cinderella for a weekend, even if it only means room service lobster and trying her hand at the penny slots. But when she locks eyes a few hours later with ruggedly handsome police detective Conor Riley, she discovers there’s more to Cinderella’s story than dancing until midnight. They agree it’s just a fling. A weekend of magic with no strings attached. They’d say goodbye on Sunday night and return to their everyday lives with sweet memories and no regrets. Click here or type in http://smarturl.it/daywemet into your web browser to pick up your copy of The Day We Met. In the month of February 1982 I wrote and sold my first novel. And no, I wouldn’t believe it either if it hadn’t happened to me. I sent in my manuscript on Thursday February 21, 1982 and four days later the telephone rang and I heard the amazing words, “We want to buy your book.” How I wish you could have seen me. I was standing by the kitchen door of our North Babylon house, the picture of cool sophistication, as I listened to Vivian Stephens explain the terms of the deal to me. You would have thought I’d sold a first book every single day of my life. Yes, I said. Sounds wonderful. Thank you so much for calling. I look forward to our association. That cool sophistication hung on until I hung up the phone, took a deep breath, then promptly threw up on my shoes. I was thirty-one years old, unagented, unschooled, unfamiliar with anything to do with the business of publishing. To put it mildly, I was in shock. My husband was working in Manhattan at the time (and finishing up his degree at night) so it would be hours until I could break the news to him. This was too exciting to waste on a phone call. I wanted to see his face when I told him that my dream had finally come true — and came with a $6,000 advance! He pulled into the driveway at midnight. I was waiting in the doorway, holding a bottle of champagne and two glasses. I didn’t have to say a word. He knew right away and the look of joy and pride in his eyes warms me now, years later, long after the advance faded into memory. You can visit Barbara’s Amazon author page if you click here or type in http://smarturl.it/bretton into your web browser. Here’s your next group of free and discounted Kindle book offers in a variety of genres for Tuesday: for those books listed as being free or discounted in this post – while the pricing of the free and discounted status is valid at the time of this posting, please make sure you check the pricing carefully before you press the “buy” button as it could revert back to its normal status at any time! Night of the Black Bastards, by Casey Christie, is regularly $2.99 but has been discounted to just 99 cents today in the Amazon Kindle store. This book has received an average user rating of 4.2 out of 5 stars based on 27 customer reviews. This book, Night of the Black Bastards, was written by the author, Casey Christie, a security consultant and former South African policeman, in 2011 and published that same year. He tells the story of how before his death, the Libyan dictator Muammar Gaddafi arranged for a vast hoard of gold bullion and many millions in cash to be transported to and hidden in South Africa… and how a trio of Special Forces cops-A veteran Sergeant, a former army commando, and his two cohorts: a Zulu giant and an expat Russian Spetsnaz operator-wage a ruthless war against a Satanic criminal, a Zimbabwean army colonel, who sets out to steal this fortune for himself. Night of the Black Bastards, fact or fiction? You decide. Click here or type in http://smarturl.it/nightofthebb into your web browser to pick up your copy of Night of the Black Bastards. 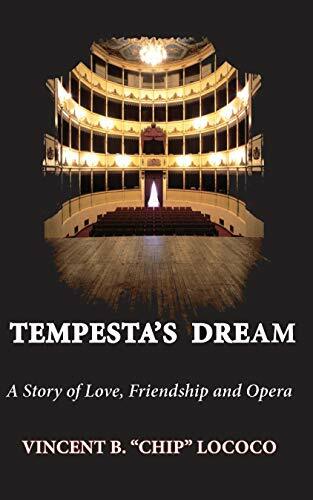 Tempesta’s Dream: A Story of Love, Friendship, and Opera, by Vincent B. “Chip” LoCoco, is regularly $2.99 but has been discounted to just 99 cents today in the Amazon Kindle store. This book has received an average user rating of 4.6 out of 5 stars based on 33 customer reviews. Tempesta’s Dream is a novel by New Orleans writer, Vincent B. “Chip” LoCoco. It is the story of an aspiring opera singer coming of age in Milan; a tender and moving love story; a testament to the bonds of friendship; and, at its core, a tribute to the beauty, majesty and miracle of opera. Click here or type in http://smarturl.it/tempesta into your web browser to pick up your copy of Tempesta’s Dream: A Story of Love, Friendship, and Opera. 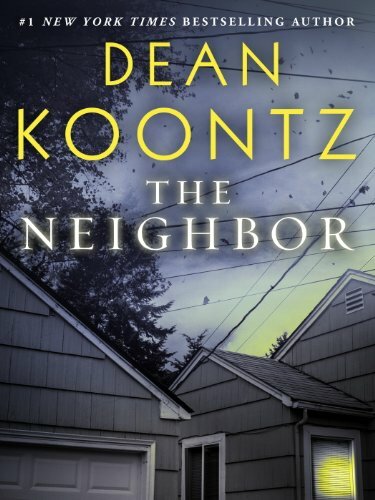 The Neighbor, by Dean Koontz, is regularly $2.99 but has been discounted to just 99 cents today in the Amazon Kindle store. This book has received an average user rating of 4.2 out of 5 stars based on 693 customer reviews. Every city has its wonders and mysteries. For the Pomerantz family, the most disturbing mystery at the moment is the identity and the intentions of their new neighbor, in this eBook original short story—a prequel to The City, the gripping and moving new novel by Dean Koontz. The year is 1967. Malcolm Pomerantz is twelve, geeky and socially awkward, while his seriously bright sister, Amalia, is spirited and beautiful. Each is the other’s best friend, united by a boundless interest in the world beyond their dysfunctional parents’ unhappy home. But even the troubled Pomerantz household will seem to be a haven compared to the house next door, after an enigmatic and very secretive new neighbor takes up residence in the darkest hours of the night. Click here or type in http://smarturl.it/o6j68d into your web browser to pick up your copy of The Neighbor. 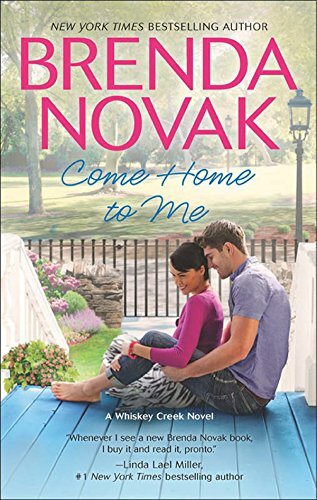 Come Home to Me, by Brenda Novak, is regularly $7.99 but has been discounted to just $1.99 today in the Amazon Kindle store, and this book has received an average user rating of 4 out of 5 stars based on 297 customer reviews. Click here or type in http://smarturl.it/dsekzf into your web browser to pick up your copy of Come Home to Me. 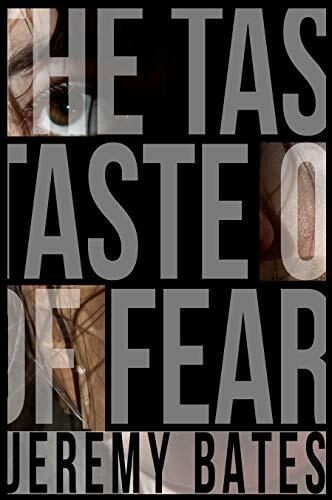 The Taste of Fear, by Jeremy Bates, is free today in the Amazon Kindle store, and this book has received an average user rating of 4.3 out of 5 stars based on 99 customer reviews. American movie star Scarlett Cox and her husband, hotel tycoon Salvador Brazza, head to Africa to get away and resuscitate their ailing marriage. When robbed of their money and passports, they seek help from the U.S. Embassy in Dar es Salaam on the very day Al Qaeda chooses to bomb it. In an eyeblink they are taken hostage and whisked across the border deep into the Congo, one of the last truly wild places left on earth. Battling terrorists, deadly wildlife, and cannibalistic rebels, Scarlett and Sal must find a way to survive in a violent, primeval world. And the only person who may be able to save them is the assassin sent to kill them. Click here to pick up your copy of The Taste of Fear. 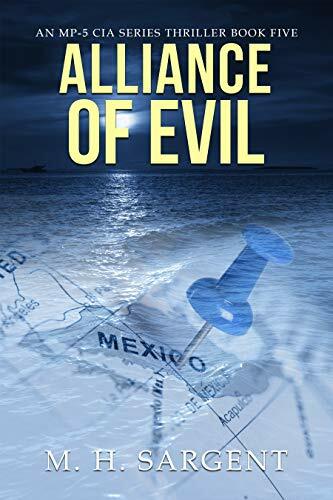 Alliance of Evil, by M.H, Sargent, is free today in the Amazon Kindle store, and this book has received an average user rating of 4.7 out of 5 stars based 48 customer reviews. Ten years after the 9/11 attacks, U.S. Navy SEALs finally brought a fitting end to Osama bin Laden’s reign of terror. Now, in retaliation for Bin Laden’s death, sleeper cells are going live and attacking American citizens on their own soil. With more attacks likely, one has to ask, how did the terrorists get here? And how can they operate so effortlessly behind the scenes? The answer is simple. They teamed up with a powerful Mexican drug cartel that smuggled them over the border – after they had been educated in the Mexican culture and learned to speak fluent Spanish – making it easier for them to blend in with the more than 37 million Latinos in America. After ascertaining that the leader of these terrorist cells is based in Mexico, M.H. Sargent’s MP-5 CIA team races to cut off the head of these terrorist cells before they can attack the U.S. again. But this posting will challenge them like no other, as they find themselves caught in the crosshairs between two rival and vicious Mexican cartels. Click here to pick up your copy of Alliance of Evil. 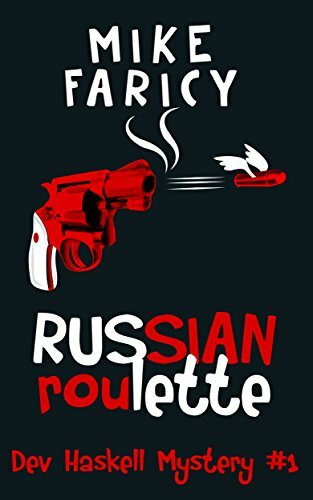 Russian Roulette, by Mike Faricy, is regularly $2.99 but has been discounted to just 99 cents today in the Amazon Kindle store. This book has received an average user rating of 4.3 out of 5 stars based on 149 customer reviews. Russian Roulette is the FIRST novel in the highly entertaining Dev Haskell Private Investigator mystery series. 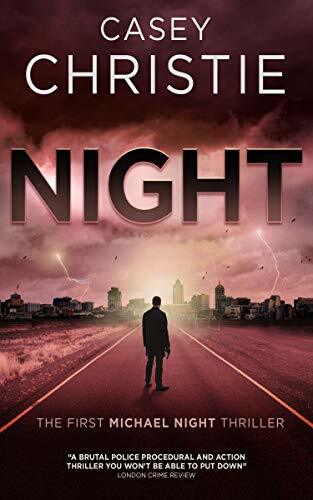 Bestselling author Mike Faricy kicks off his mystery series with this humorous, suspenseful tale of intrigue, rank ineptitude, and one night-stands. In a bizarre but compelling mixture of crime and offbeat comedy, Dev proceeds to messily balance both sides of the law in a wacky tale that will keep you on your toes while laughing out loud. Click here or type in http://smarturl.it/t1mp11 into your web browser to pick up your copy of Russian Roulette. 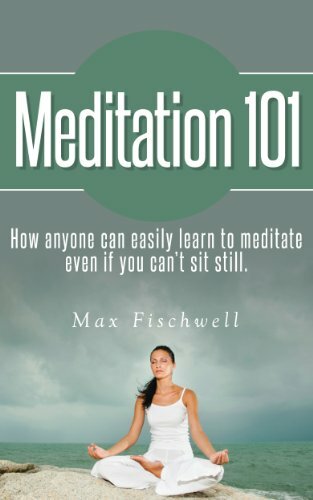 Meditation 101: How Anyone Can Easily Learn to Meditate Even if You Can’t Sit Still, by Max Fischwell, is regularly $2.99 but has been discounted to just 99 cents today in the Amazon Kindle store. This book has received an average user rating of 4.6 out of 5 stars based on 8 customer reviews. •	I can’t sit still: Learn about different techniques so that even the most fidgety people can still benefit from meditation. •	I can’t stay focused: Learn how to handle unwanted thoughts that pop in your head so you can get the most from you meditation. •	Some of the postures look intimidating: Learn why you don’t need to torture yourself with extremely uncomfortable positions. Instead you will learn what is truly important for meditation when you sit down. •	I just don’t have the time: Learn how you can meditate even if you have a very hectic schedule. Hint: Even just a few minutes a day is much better than nothing. I too have faced many of these common objections that people seem to have when it comes to the subject of meditation. It actually prevented me from pursuing it all together. However after learning about all the positive benefits one can achieve from meditation such as being more calm in stressful situations to having more energy throughout the day, I became committed on overcoming these common obstacles so I can start to reap the benefits of meditation. And all I can say is that I am glad that I did. Now I am going to share with you what I learned and the techniques I used to overcome the most common obstacles to mediation. Keep in mind that this book is about meditation for beginners, so if you are just starting out than this meditation book is the perfect solution for you. Click here or type in http://smarturl.it/77m2sg into your web browser to pick up your copy of Meditation 101: How Anyone Can Easily Learn to Meditate Even if You Can’t Sit Still . 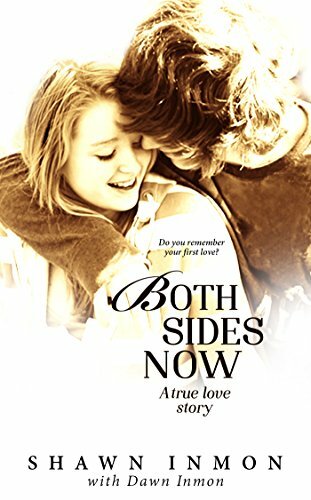 Both Sides Now, by Shawn Inmon and Dawn Inmon, is regularly $2.99 but has been discounted to just 99 cents today in the Amazon Kindle store. This book has received an average user rating of 4.6 out of 5 stars based on 252 customer reviews. Click here or type in http://smarturl.it/kvuc6m into your web browser to pick up your copy of Both Sides Now . The Adventures of Don and the White Animals, by Meir Eshel, is free today in the Amazon Kindle store, and this book has received an average user rating of 4.8 out of 5 stars based on 24 customer reviews. Do you love animals as much as Don? Find out what Don does for them. The main character of the book is a six year old boy named Don White. Don is gifted with a mysterious power: from birth, he has had the ability to communicate with animals of all kinds, especially with white animals that have a birthmark on their right limbs ”” the same birthmark that Don has on the palm of his right hand. When Don realizes his powers, he nominates himself as the “Ambassador of all animals” and fights for their rights in a naive yet glorious way, as only a child can do. The animals not only gather around Don, but they also come to his rescue in times of trouble and defend him from attackers in spectacular, curious, amusing and nonviolent ways. The storyteller is Don’s father, Jack White, who is compelled to confront an invasion of massive animals and a super-natural, mature and independent child. Don manages to drag his family into extraordinary adventures – he is kidnapped by a big white monkey from the circus, wins a horse race riding a white horse, and escapes after being kidnapped by a group of malicious people. Don is saved, of course, but the book ends with the kidnappers still on the loose, waiting to meet him in the next book. This adventure story is about courage, resourcefulness determination and persistence. The story stimulates thought, inspires emotions and feelings and gives valuable messages. Filled with action and fun, Don’s adventures teaches us more about our environment, biological, ecological and zoological ideas. 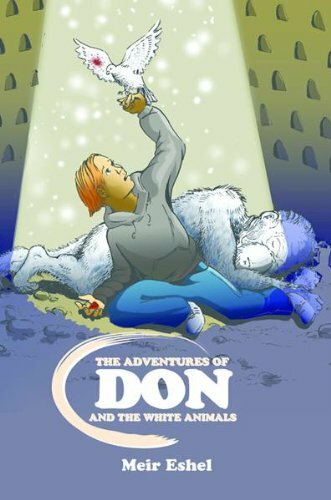 The Adventures of Don and the White Animals is a book for children between the ages of 8-12 and is the first part in a series of ongoing adventures. Click here to pick up your copy of The Adventures of Don and the White Animals. 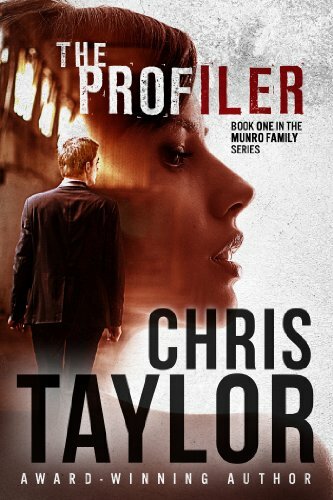 The Profiler, by Chris Taylor, is free today in the Amazon Kindle store, and this book has received an average user rating of 4 out of 5 stars based 56 customer reviews. Click here to pick up your copy of The Profiler.